Terence Moore, a 1978 Miami alum and national sports writer and TV contributor often seen on CNN, ESPN, and MSNBC, has been honored as Miami's Karl and Helen Wiepking Distinguished Professor in the Department of Media, Journalism & Film (MJF). As a professional journalist with 40 years of experience, Moore has covered numerous Super Bowls, Olympics, major boxing matches, and much more. He has written for The Cincinnati Enquirer, The San Francisco Examiner, The Atlanta Journal-Constitution, and prominent websites like AOL, Forbes.com, and MLB.com. "I've covered so many sporting events, it's just hard to pick one that I like the most," Moore told Miami in 2014. "Which is why I think I was meant to be a sports columnist, because as a sports columnist, you get a chance to do a variety of things. So whatever the season it is, that's my favorite season. Whatever the sport is, that's my favorite sport at that particular time." "We're thrilled to have Terence Moore continuing to enrich the experiences of our students in Media, Journalism & Film, now in his role as Wiepking Professor," said Bruce Drushel, professor and chair of the department. "He joins two other recent Wiepking Professors, Wil Haygood and James Tobin, as the latest in a line of world-class journalists to work with us." According to its 1991 memorandum of understanding, the Wiepking Distinguished Professorship is an honorary one-year position for "a nationally recognized, distinguished visiting professor to join the Miami faculty" and teach courses that "combine disciplines and would attract student participation from more than one department." "We're enormously proud of Terence's accomplishments since his days as a student here and honored that he would commit a considerable amount of his time and energy to share his expertise with the next generation of media industry leaders," said Drushel. Moore recently served as a member of Miami's alumni board of directors. 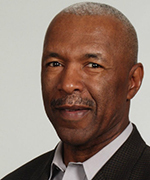 He has won numerous national, state, and local awards, including one in 1999 by the National Association of Black Journalists for ranking as the longest-running black sports columnist in the history of major newspapers. "I can't put into words how thrilled I was to hear about receiving the Wiepking Distinguished Professorship," Moore said. "This honor is beyond anything I could have imagined during my days working on campus for The Miami Student while matriculating toward a degree in economics. I've always had a passion for both journalism and young people, which means this professorship is a godsend for me." One course Moore will teach in his new role this spring is JRN 318, an upper-level course on storytelling in journalism. An active Twitter user, he has also previously introduced a popular new course called "Social Media and Journalism." "During my professional journalism career, few things have changed the way we do things more than Twitter, Facebook, Instagram, and the rest," he said. "The enthusiasm for both courses has been tremendous, and I hope to prove worthy of receiving such a splendid honor."